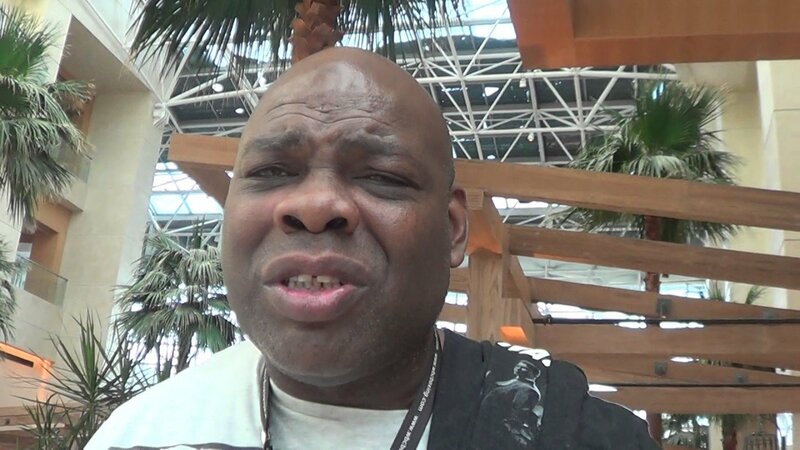 There seems little to no chance it would be permitted to happen, not in an officially sanctioned fight anyway, but former three-weight champ Iran Barkley says he is to launch a comeback – “probably at cruiserweight, maybe at heavyweight” – in the near future. “The Blade’s” current age? 58. Barkley insists all these years later how he was pretty much ripped off by promoters, Bob Arum especially; that he never got the big money he deserved. That’s a story and a debate all by itself, but what of Barkley’s chances of coming back when two years shy of age 60? Slim and none? It sure seems so. Barkley was asked about how he would have done against Gennady Golovkin and Canelo Alvarez and Barkley said that he (presumably the prime version, not the current version) would beat Canelo “in a war,” and that he would “definitely flatten” GGG. “He couldn’t match up to me,” Barkley said of the current world middleweight king. The peak Barkley – who engaged in some cracking battles with legends Thomas Hearns and Roberto Duran – would have made an interesting, and formidable, foe for either Canelo or Triple-G, but even this version of “The Blade” would have had his hands full in a major, major way. Today, Iran, a good guy of the sport who is fondly remembered for adding some real drama and excitement, should be content with all that he did achieve. For his own safety, Barkley must not be permitted to fight again.